Ahhh...vintage pieces. Ever since I was a little girl I loved old stuff. I don't know how to explain it, but I did. I had a huge fascination with antiques and vintage clothing. My my maternal grandmother once lived in a rather large house left to her by my late step-grandfather. This house was packed with antiques and some very old vintage pieces. I'm pretty sure my fascination with antiques started at that point. I also had a huge love for history since, oh gosh, I can't even remember, since I could talk. I would watch Anne of Green Gables or The Secret Garden and think: "what time is this? I want to go to this time!". I figured that the early 1900's was the time period I loved the most. As I've gotten older I've come to appreciate many different era's when it comes to fashion. I also ended up making history an academic pursuit (surprise, surprise). I've picked up a few vintage pieces throughout the years. I'd thought I'd share three vintage jackets that are favorites of mine with you today. 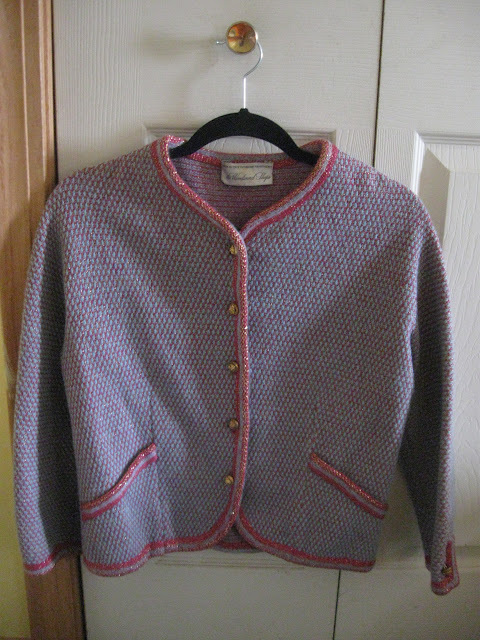 The first vintage jacket on my list here, is a hand-me-down from my mom and it's from the late 1970's. They're referring to 1980's stuff as vintage now, so I don't feel hesitant at all to post this jacket under a "vintage" heading. Isn't it gorgeous? A caramel colored corduroy jacket made by Barbara Lee for Junior (if you go onto Etsy you can find numerous Barbara Lee pieces for sale). 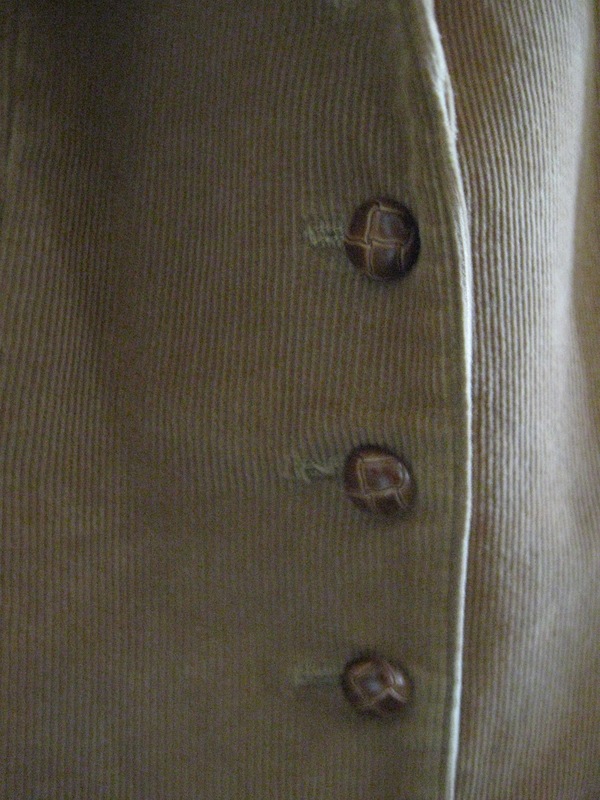 What I love most about these vintage jackets are the buttons. They really make the jacket. The next jacket is a metallic little number by Abbott East. I've done some research on this label, and turns out there are a few pieces floating around out there, but I couldn't find a clear answer as to where they were originally sold. This piece was from my gran's basement and belonged to my late step-grandfather's sister. 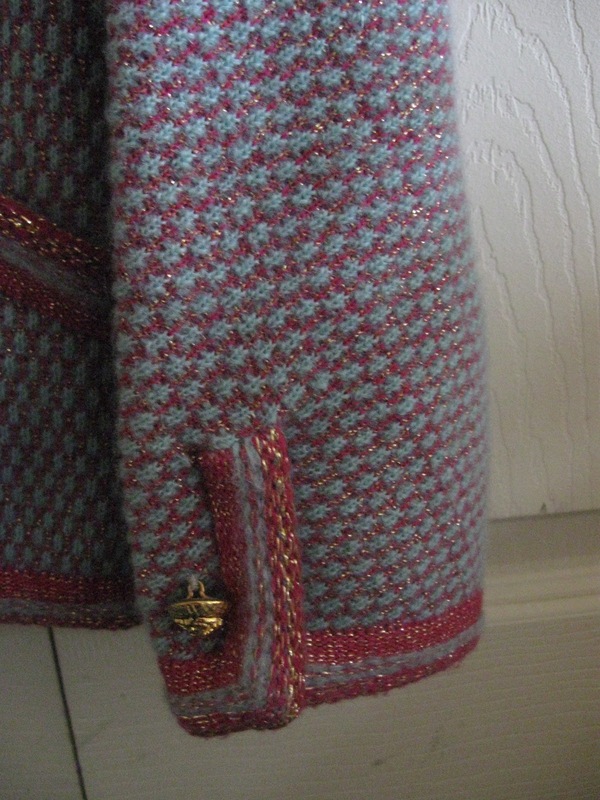 I am guessing by the design that this jacket was made in the 1960's. 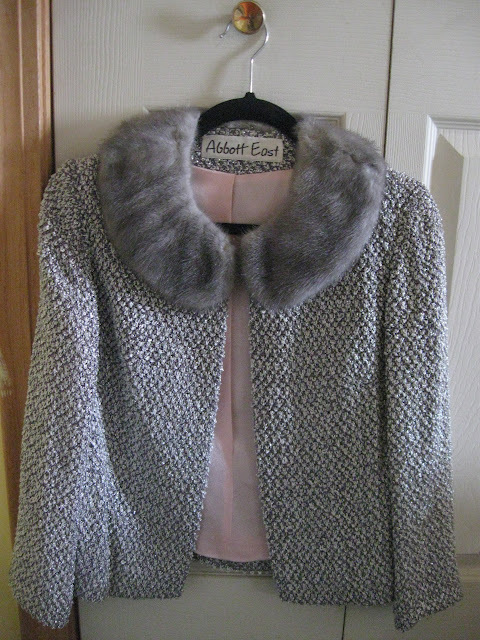 The collar on the jacket is, to the best of my knowledge, rabbit fur. Whatever it is, it's real fur, (I usually don't wear fur unless it's a vintage piece). I love the pink silk on the inside, it adds an extra bit of luxury! The third jacket on my list was also found in my gran's basement. 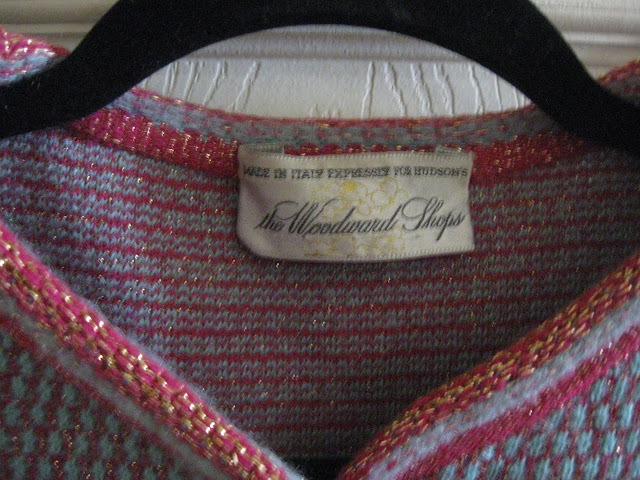 The label says The Woodward Shops *Made in Italy Expressly for Hudson's. So according to the label it was sold in Hudson's on Woodward Avenue in Detroit (which sadly, has not been in existence for many years). From this bit of info, as well as the design of the jacket, I'm thinking this piece was also made in the 1960's. As with the previous jacket, it has a metallic thread accent which just adds a bit of sparkle to this already colorful and unique piece. Lovely, huh? Once again, fantastic little buttons! Anyway, I hope you're enjoying your happy Friday! 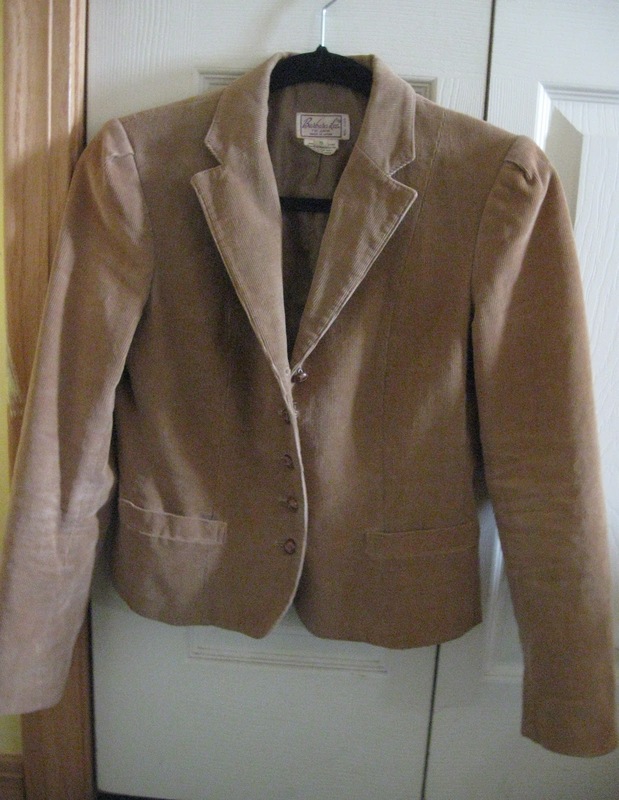 Hope this post about vintage jackets has inspired you to start collecting some pieces yourself if you haven't already!